Basic dental care in exchange for volunteer service for those who qualify. Referrals to find a dentist and help getting answers to dental-related questions. Oral health education by a registered dental hygienist at our bi-weekly class. Community outreach events and free oral health screenings in partnership with the Muskegon County Oral Health Coalition. X-rays, exams, fillings, tooth removal, cleanings and treatment for gum disease. Over 20 volunteer dentists who provide services. Over 20 non-profit organizations with volunteer options. Muskegon or Oceana County residents. Uninsured or underinsured within program limits. Meet income limits (listed in table). Call us to be screened to be sure you qualify and enroll you in the program. 1. Attend a dental health class. To begin, choose a dental class from our calendar. Call us at (231) 766-7129 to reserve your spot as space is limited. The class will be taught by a registered dental hygienist. 2. Complete your volunteer hours. Review the list of participating non-profits and choose a volunteer opportunity. Turn your volunteer hours in to us in writing on our form or the volunteer organization letterhead (required if the organization is not on our list). 3. Receive your dental care. 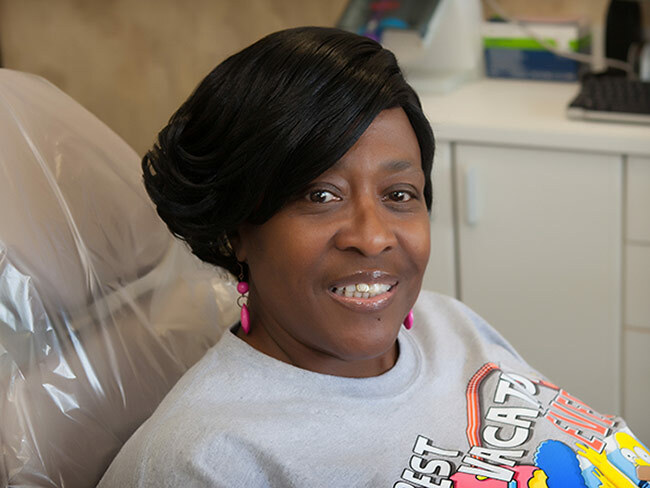 Once you have turned your volunteer hours in to us in writing please call us at (231) 766-7129 to schedule your dental appointment.